HUAWEI has always used the P series as preferred models to show the new photography technology. 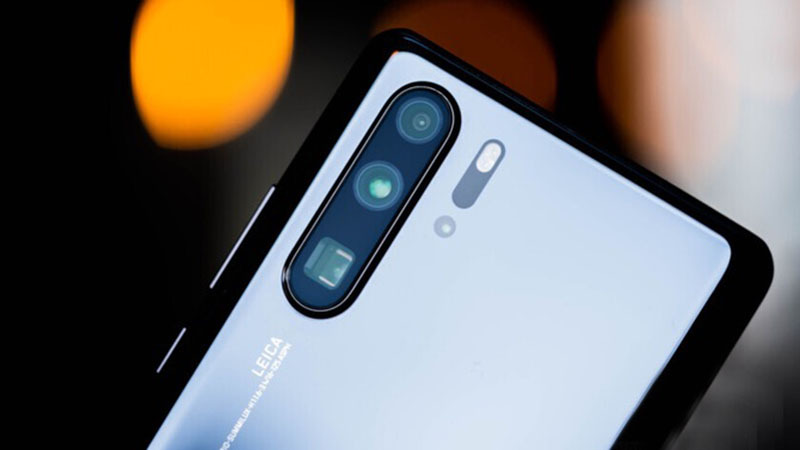 This time, the HUAWEI P30 continues this tradition, especially the HUAWEI P30 Pro is equipped with a super-sensing Leica quad camera for the first time. A 40-megapixel main camera with f/1.6 aperture, 27mm focal length, and OIS optical image stabilization are placed in the middle of the vertical row, known as ultra-sensing sensor by HUAWEI, it uses a new red yellow yellow blue (RYYB) instead of the traditional red green green blue (RGGB) color filter. According to the explanation of HUAWEI, the transition from green to yellow helps the sensor absorb more light, further enhancing the imaging capabilities in dark-light shooting environments. The sensitization principle of the RYYB sensor is to allow yellow pixels to absorb both red and green light at the same time. HUAWEI P30 series not only replaces the new sensor, but also needs to re-develop image sensitivity and processing algorithms, and deploy the ISP digital image processor built in the Kirin 980 processor to ensure smooth operation. From the P20 Pro to the P30 Pro, HUAWEI extended the ISO maximum sensitivity from 102,400 to 409,600. 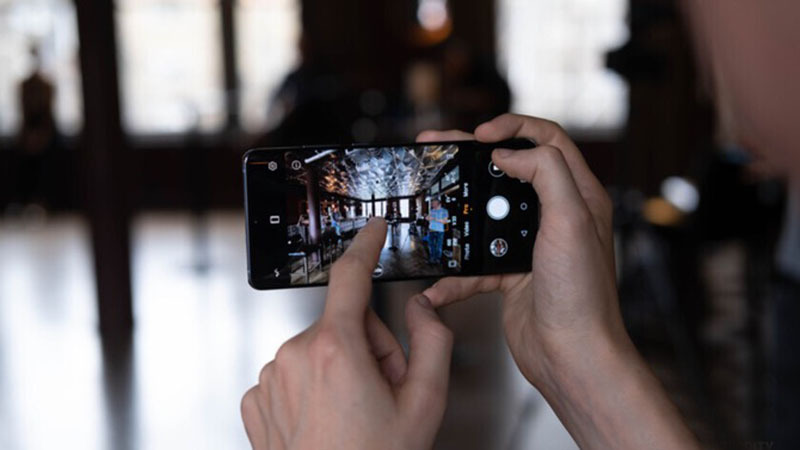 In theory, with the support of high sensitivity and large aperture, the HUAWEI P30 Pro's ultra-sensing sensor can collect more light to improve the image quality. In addition, the combination of OIS optical image stabilization and AIS smart anti-shake algorithm helps improve the image quality in the jitter state, and brings an unprecedented super night scene mode. HUAWEI P30 Pro also has a 20 megapixel ultra wide-angle lens with 16mm focal length and F/2.2 aperture for ultra wide-angle shooting. The last one is the 8 megapixel super zoom lens with 125mm focal length and F/3.4 aperture, also equipped with OIS optical image stabilization technology. From the appearance, the super zoom lens looks like a “square”. The reason for this is the using of the periscope lens structure, the lens group is placed laterally inside the mobile phone, and the light is refracted at an angle of 90 degrees. Compared with the zoom capability of the HUAWEI P20 Pro, the zoom capability of the HUAWEI P30 Pro has been greatly improved, enabling 5x optical zoom (previously 3x optical zoom). Combined with the periscope lens and HUAWEI 's advanced AI technology, the HUAWEI P30 Pro can achieve 10x hybrid zoom (twice as much as the HUAWEI P20 Pro), while also supporting 50x digital zoom and 62.5px macro photography. What is The Magical Effect of Adding a TOF Depth Camera? In addition to the three cameras at the left side, the HUAWEI P30 Pro subtly placed the fourth camera under the flash, which is a ToF camera that can be used to measure the distance between objects and collect depth information. Huawei has said that this TOF camera can improve the background blur effect of portrait shooting and achieve progressive blurring from near to far. 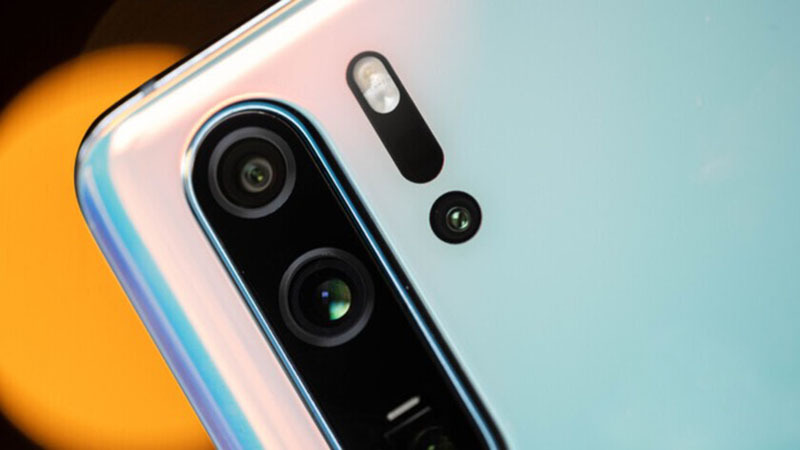 HUAWEI also said that through the AI artificial intelligence engine and AR augmented reality technology, the accuracy of the TOF lens of the HUAWEI P30 Pro for measuring object length, distance, volume and area is much higher than that of the traditional RGB or Mono camera. In addition to HUAWEI 's " Master AI " scene recognition function, the HUAWEI P30 Pro has also added a new AI HDR+ function, which can perfectly solve the problem of overexposed background in scenes with excessive contrast of light. HUAWEI P30 Pro is not only suitable for taking pictures, but also excellent in video shooting capabilities. The super-sensing sensor also plays an important role in recording video on the mobile phone. Combined with OIS optical anti-shake technology and AIS smart anti-shake algorithm, it can support up to 15x zoom function during video capture. 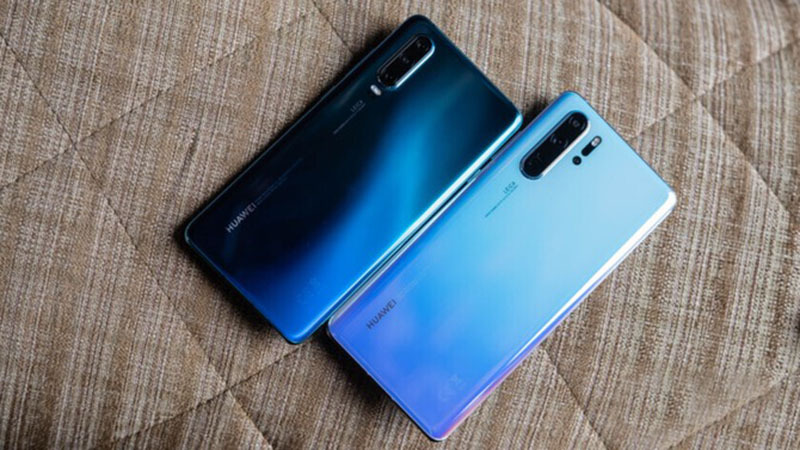 Compared with the HUAWEI P30 Pro, the ordinary version of the HUAWEI P30 is equipped with a 40-megapixel main camera, a 16-megapixel ultra-wide-angle camera, and an 8 megapixel telephoto camera. The HUAWEI P30 series is equipped with a 32-megapixel pre-capture camera and supports AI HDR+ technology. Objectively speaking, the camera of HUAWEI P30 Pro is quite powerful, further enhancing the application of the AI function and greatly upgrading the hardware of the camera. Compared to the Samsung toothpaste upgrade speed, Huawei P30 Pro is very attractive to ordinary photographers. In addition to the camera, the shape design is also an important part of the HUAWEI P series. The iconic gradual aesthetic design of the HUAWEI P20 back cover has been widely used by the industry, and the new HUAWEI P30 and P30 Pro once again show the gradual aesthetics. 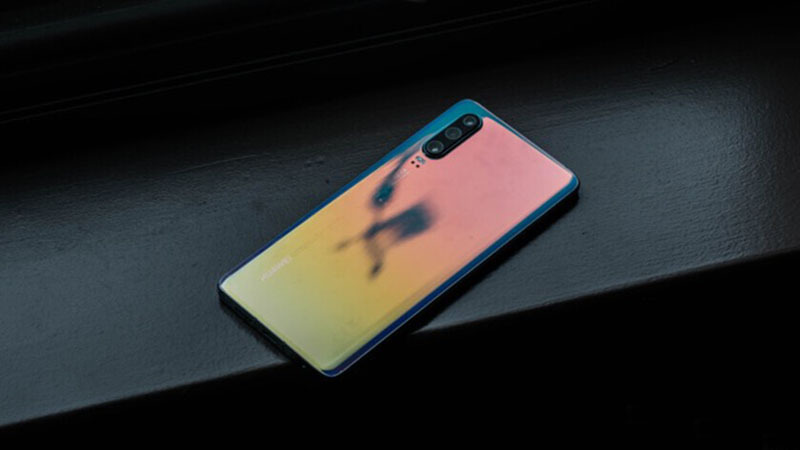 HUAWEI officials have said that the designers of HUAWEI P30 series have been inspired by nature to combine light with art to give the body a glossy color. The "Amber Sunrise" echoes orange and red, and the "Breathing Crystal" flows between light blue and light green. Last year's popular "Aurora" returned to the original, with the style of the Northern Lights. The "Pearl White" seems to be dull, but it can change to gray white and purple under certain light. If you love traditional colors, the standard black is definitely for you. 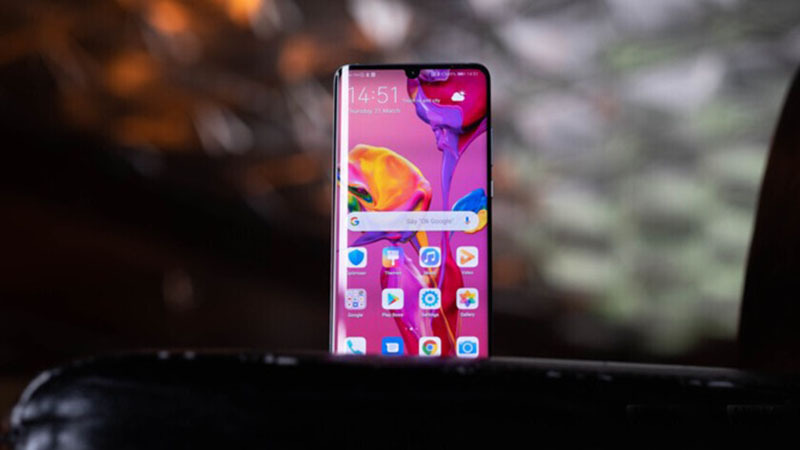 In addition, the HUAWEI P30 Pro further enhances the quality of the screen. The front and back hyperboloid glass design is similar to the HUAWEI Mate 20 Pro. The curvature is natural and smooth, and the one-handed grip feeling is very good. The ordinary version of the HUAWEI P30 does not use a curved screen, just a flat OLED screen, but the back is exactly the same as the HUAWEI P30 Pro. In terms of screen resolution, the HUAWEI P30 is the same as the HUAWEI P30 Pro with 2340 x 1080 and an aspect ratio of 19.5:9. In addition, both models use a water drop screen design, but the HUAWEI P30 Pro replaces the receiver with a magnetic suspension sound screen technology, while the P30 still with a conventional sound technology. In addition, compared with HUAWEI P30 Pro, HUAWEI P30 still retains a 3.5mm headphone jack, suitable for users who like to listen to songs. If the phone's other hardware is not qualified, then all the camera features and stunning design of the phone are meaningless. Fortunately, the HUAWEI P30 series almost has all the high-end specifications and features of HUAWEI's flagship model. HUAWEI P30 Pro adopts a new generation of screen fingerprint technology, and the fingerprint recognition speed is faster and more accurate than before. HUAWEI P30 Pro also has a built-in 4200mAh battery, which also supports reverse wireless charging technology. 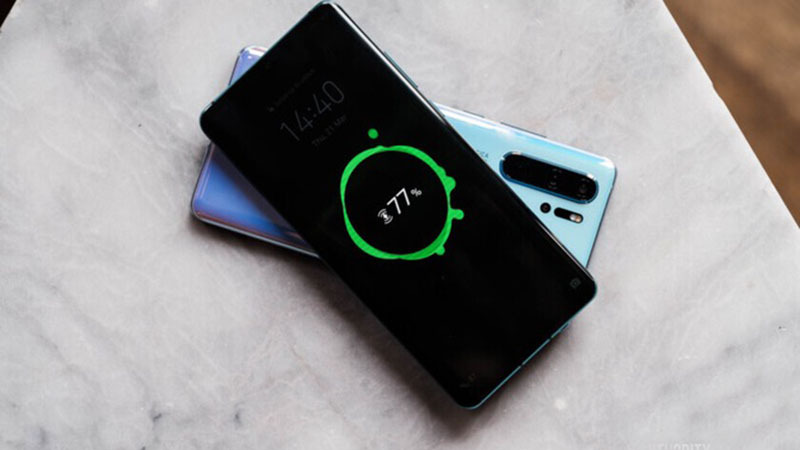 The charging method is similar to the reverse wireless charging effect of HUAWEI Mate 20 Pro. In addition, HUAWEI P30 Pro also supports 40W super fast charge and 15W wireless fast charge. While the HUAWEI P30 has a built-in 3650mAh battery and does not support wireless charging technology. The operating system of HUAWEI P30 series was upgraded from EMUI 9.0 to EMUI 9.1, and some optimizations were made to the software. Added some functions such as mobile phone key, real-time synchronized motion data with treadmill, and HUAWEI Share. At the same time, HUAWEI P30 series is also equipped with the top Kirin 980 chip, P30 uses a combination of 6GB RAM memory and 128GB storage space, while HUAWEI P30 Pro provides a larger capacity of 8GB memory and up to 512GB storage space, and supports NM card to expand storage capacity. The HUAWEI P30 series is an impressive flagship model with an elegant design.Vmallworld.com will post an depth review in the near future, please stay tuned with us.